Bigfoot Ln Street Sign - World Famous Sign Co.
Bigfoot Ln Street Sign. 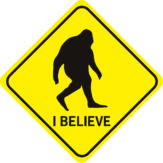 This funny sign is a perfect gift for the sasquatch enthusiast. Bigfoot Ln Street Sign. 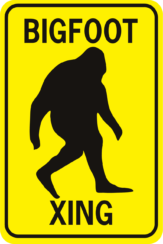 A street sign for Bigfoot Lane. Let everyone know where they are. This funny sign is a perfect gift for the sasquatch enthusiast.